If you've ever tried to recreate a makeup look you saw on YouTube, then you know that some colors just don't make the most of your features. An everyday look should appear natural, fresh and alert. Unfortunately, certain eye shadow colors can seem overdone and make you look tired when used incorrectly. Brown is a neutral that looks good on almost everyone. It creates depth and dimension when you use it in the right locations. Light-colored, shimmer eye shadow helps create a wide-awake look, especially when used in the inner corners of the eye and under the brow bone. Together, these colors work wonders to open the eye. To achieve this look, you need only mascara and two shades of eye shadow. The result will enhance the shape of your eye and make you look more awake, even if you didn't get a full night's sleep. 1. Apply pale peach shimmer eye shadow underneath the brow bones and on the inner corners of the eyelids with a small eye shadow brush. 2. Apply light brown matte eye shadow on the outer corners of the eyelids and in the creases with a fluffy blending brush. 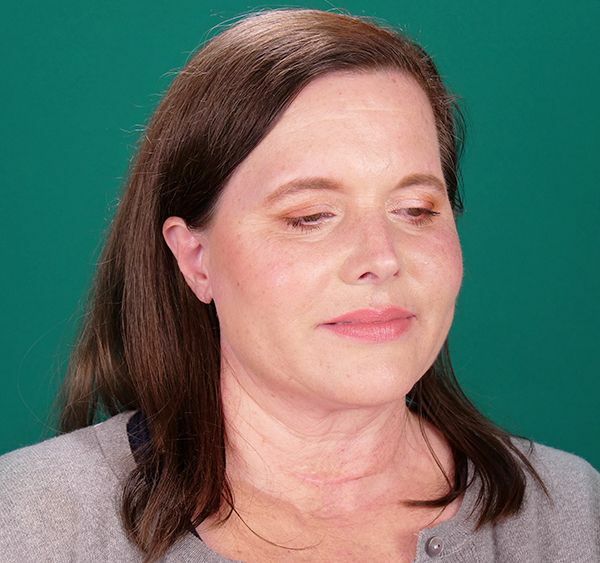 Tip: Don't apply dark colors on the entire lid; this will make you look tired. 3. Add more shimmer eye shadow on the inner corner. 4. 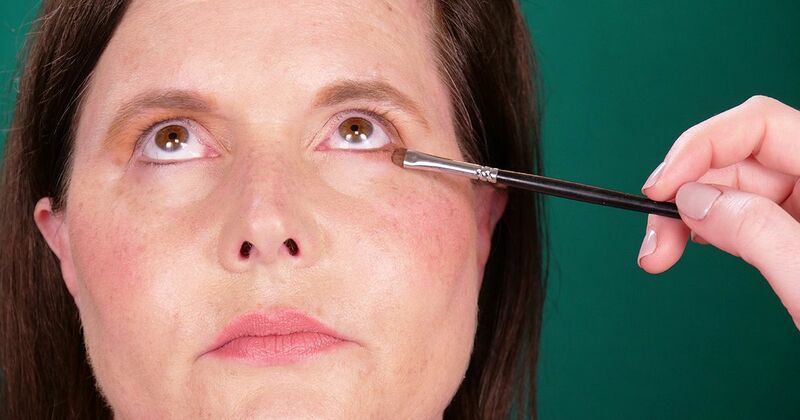 Use a small shadow liner brush to apply brown eye shadow below the lower lashes. Tip: If your eyes are very small, apply the color only on the outer half of the lower lash line. 5. Apply two coats of mascara to the upper and lower lashes. This two-color approach naturally defines the eye without weighing it down. It's a lovely look any day of the week.